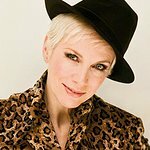 Here’s your chance to win the chance to spend time with Annie Lennox at An Evening of Music & Conversation in London… and all you have to do is donate to charity. “Around the world, millions of girls and women have no access to many of the most basic rights we take for granted – an education, decent healthcare, safe drinking water and sanitation, legal rights…just to name a few. “We have to do better to make the world a fairer and more equal place. “That’s where The Circle comes in. “We work to make a difference for some of the most marginalised and disempowered girls and woman across the globe, by challenging and changing the injustices they face. “By making a donation here, you’ll be automatically entered for a chance to win a roundtrip flight for one person + guest to meet me at my rehearsal in the afternoon and later attend the evening’s show as VIPs. We’ll provide hotel accommodation with transport to and from the theatre. Entries start at just $5, and the more you donate, the higher your chances of winning! To find out more, visit CharityStars.com.